good advice, and to that we add, "or to yourself!" Marriage is one of the biggest events of our lives and the planning of that event is just as serious. The bride isn't a wedding planner..she's the bride, and the last one that should carry the burden of such a task. Mom of course wants to help, but we all know "she's got her own way of doing things"..and well, that almost always clashes with our brides of today. Then we have the "my best friend is going to help me" story. Please, do allow your best friend to remain your friend..they have strong tendencies to go way overboard. Two Becoming One, is a professional wedding consultant that helps bring your day to reality with a minimum of stress for the bride and groom. Her function is to obtain the best pricing for outside services, secure vendors, keep protocol and etiquette in check, provide dress and color options and deal with the guest arrangements. The full excitement of the wedding and planning remains with the bride as the consultant and her sit together, becoming friends and exchanging ideas, plans, desires and thoughts. After all, this will be a six to nine month task as the event builds to that "dream day!" Two Becoming One offers three levels of services to all brides. Each level takes the primary and secondary colors into consideration, your wedding theme and, THE BUDGET! The fee for our service is INCLUDED in the BUDGET, not added to it, so it is WITHIN YOUR REACH to do it the right way! and Vendor Referrals are all included. Budget planning, Theme Planning, Site Identification, Etiquette and Protocol Guidelines, Securing Outside Vendors and Locations, Reminder Notices to Vendors, Instructions (printed) to all Attendants, Reminder Letters to Out-of-Town Guests, Assistance at Rehearsal, Wedding day (8 hours) Services with an Assistant, Coordination of the Reception, Security for all Money, Delivery of the Cake Topper, Wedding Gown and Gifts to the brides home. Vendor Confirmations two weeks prior to the Wedding, Day Schedule provided to Wedding Party Members and Vendors, Coordination of the Wedding Rehearsal, The Ceremony and Reception, in addition to being on-hand the entire day. In addition to our Consulting Services, we offer a CUSTOM ACCESSORIES and INVITATIONS SERVICE to our brides. All Bridal and Bridesmaids Bouquets, Florals, Altar Arrangements and Flower Girl Baskets, are designed and crafted with exquisite, scented silk! Or, maybe, you are looking for that special Cake Topper, Centerpiece or the Presentation Bouquet. Whatever your need or desire, Two Becoming One will meet your requirements and approval, all BEFORE the big day! We have no "pre-designed floral packages", or, "out-of-season color problem" and, we believe you shouldn't either. 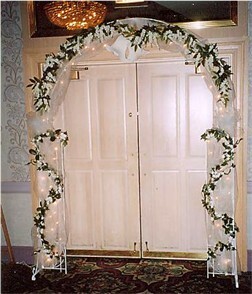 All custom work keeps the BUDGET in mind, lasts forever and makes your day that much more special. 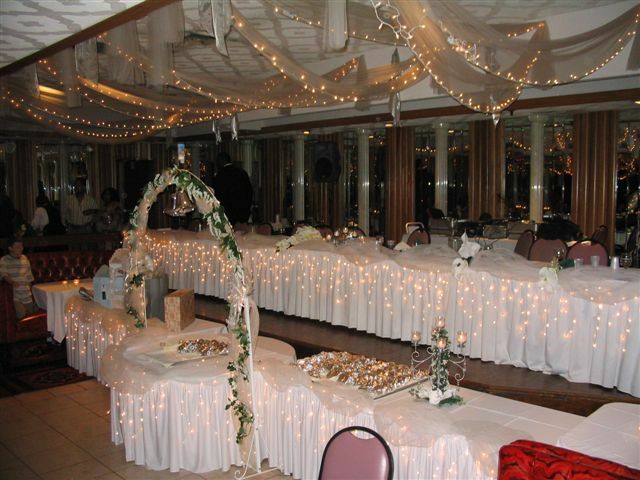 A complete array of highly decorated CUSTOM RENTALS are also available to the bride that wants elegance! 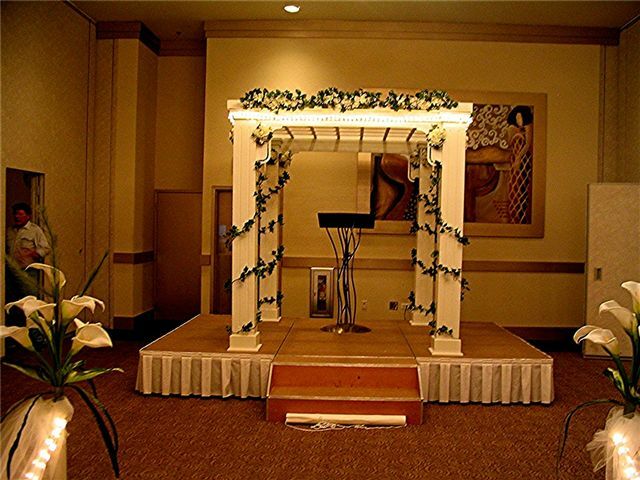 Wishing Wells, Gazebos, Castles, Altar Pieces and Arches are all rentable to complete your day yet keep the BUDGET in focus. Should the Church, Reception Hall or Brides home need decorating, this service is also available and rentable. Two Becoming One can really meet your needs, help design your day, keep within the budget and provide you with the best day of your life!